Any supply chain may need improvement, but those that handle base materials for other products are worth noting in particular. One example currently discussed is the logistics cycle surrounding palm oil. As USA Today noted, palm oil is a widely used ingredient, and yet a source of concern based on recent fears. Let's look at some of the problems associated with palm oil sourcing and production. Like a lot of popular agricultural products, the way palm oil is harvested could have an environmental impact that businesses may want to mitigate. In some cases, merely being associated with these sorts of practices can harm a business. Global Trade Review reported on allegations from Greenpeace UK against the U.K.-based bank HSBC. Greenpeace reportedly said that the bank was behind palm oil companies that didn't follow sustainable practices. However, the news provider reached out to Brendan McNamara, HSBC Head of NGO engagement, who affirmed the company's approach to proper procedures. "HSBC does not knowingly provide financial services which directly support palm oil companies which do not comply with our policy," McNamara said. "We are not aware of any current instances where customers are alleged to be operating outside our policy and where we have not taken, or are not taking, appropriate action." In this sense, adhering to policy is another way for businesses to try and enforce proper standards for the sake of the environment. Palm oil and related products have also fallen under criticism for negative health effects. SF Gate said that the fat content of palm oil makes it a potential health risk, depending on how it is consumed. More specific health concerns have dogged Nutella, Ferrero's popular chocolate spread product. Some have asserted that Nutella is dangerous in that it causes higher risk of cancer in consumers. Reuters said that the allegations stem from European Food Safety Authority comments made last year. This organization said that high temperatures could change the qualities of the oil, creating a "contaminant" called GE. It's necessary to point out, as the source did, that the EFSA wasn't recommending that people not consume palm oil and can't enact regulations itself. In response, Ferrero said it did its due diligence in testing for contaminants and denounced the claim. The company's purchasing manager, Vincenzo Tapella, even told Reuters that using palm oil is essential for the quality of Nutella. Following this example, companies can see the links between production and the claims made against an end product. 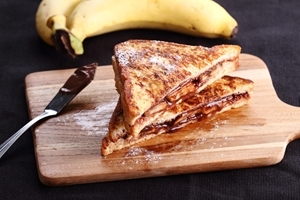 Although the presence of palm oil in Nutella was reportedly a contentious issue in Italy, the company claimed it did not affect its global sales. Another factor is cost: not necessarily the cost of the oil itself, but the costs associated with any related changes. According to Reuters, part of the reason to use palm oil is its low cost compared to other oils. Multiplying this outward, businesses that rely on this oil may be unlikely to invest the funds necessary to move away from processes they don't prefer. Within palm oil supply chains, companies may face other challenges impacting their abilities to modernize or make different choices. A final, related problem is the need for more visibility within the supply chain proper. In addition to the environmental issues Greenpeace raised, there are also labor concerns, such as possible worker exploitation. Spend Matters referred to the way palm oil plantations can use foreign worker labor in potentially dangerous and unregulated ways. Once again, the vast use of palm oil leaves this as a possible problem for various industries. In these cases, strategic sourcing stands to improve current practices, leaving businesses with more efficiency and a better look at what their partners are actually doing.